Just when you think you have heard the silliest thing possible, someone comes along and slaps you in the head with something sillier yet. 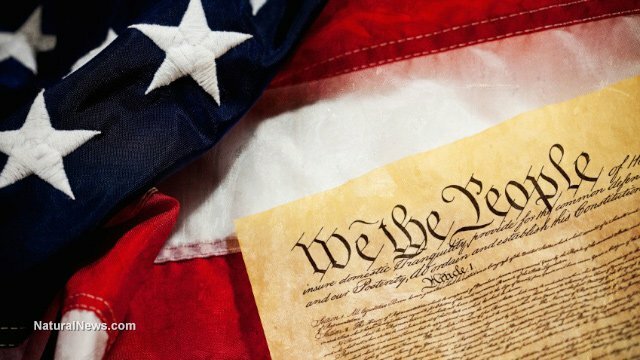 It is no secret that lots of Americans do not appreciate or honor the U.S. Constitution, and millions have no clue what it is, what it means, or why it exists. Among those we do not expect to find in that group are people trained in the law, and especially those who have been elevated to the judicial bench through appointment or election. Of course, every group has its eccentrics, even the judiciary. To wit: Richard Posner, a judge in the United States Court of Appeals for the 7th Circuit, who expressed an idea on Slate.com that baffles those of us who honor the country created for us 200-plus years ago, and the controlling document, the U.S. Constitution, the law of the land that has been the anchor keeping our republic relatively stable all these years. It has done so to the extent it has been followed, and its principles upheld by those specially trained folks who study the law. Education, it seems, is frequently incomplete. For example, some doctors seem to have not had the class in Bedside Manner 101. News journalists often appear not to have heard the idea that news reporting requires impartiality and accuracy. Many teachers at all levels do not understand that their job is not indoctrination, but the presentation of, and assistance in helping students understand their subject. Posner apparently missed the class where it was discussed how the Constitution could be improved through amendments, and also where one should have learned about the concept of principles, like those set forth in the Constitution. A principle, in this sense, is a broad concept, not merely a list of specifics. For example, the First Amendment to the Constitution guarantees the right of free speech, the freedom of religion, etc. to all Americans, and the Fourth Amendment guarantees the right of the people to be secure in their persons, houses, papers, and effects, against unreasonable searches and seizures. The Constitution is not intended to limit its protections to only those threats that existed in the 1700s, but also to any that may arise thereafter. Giving Posner credit not substantiated by his comment, let us assume that he understands that a nation must have laws. Since he does not respect the fundamental law that now exists, if we take his argument that the Constitution is old, outdated and therefore useless, what are we supposed to replace it with? Whatever ideas are the most popular? Or the ideas that a particular group of judges like best? Or, worse yet, what each judge and law enforcement official decides ought to be legal and illegal. Would he prefer a set of rules proposed by the sitting president? Or, would he prefer a set of “living” rules that changes with the winds of popular opinion? Posner’s article does not address that aspect. Even with the protections of the Constitution, we see frequent over-stepping by government officials and agencies that ignore its limits on government, so without it how would the citizens of the United States be protected from government excesses? By what measures could we keep our government from becoming just another tyrannical body like communist China or North Korea? The Constitution in Article III, Section 1, provides: “The Judges, both of the supreme and inferior Courts, shall hold their Offices during good Behaviour…” This runs contrary to the widely accepted idea that federal judges are appointed for life or until they decide to step down. Clearly, the Framers foresaw that a judge might exhibit behavior other than “good Behaviour,” in which case he or she is subject to removal from the bench. With that in mind, several judicial watchers have suggested that Posner’s idea of discarding the Constitution, the document he is sworn to uphold, warrants his impeachment, and also said that a Congress that took both Posner’s oath and its oath seriously would impeach him. However, Posner is protected by the provisions of the very document he so disdains and wants done away with, the First Amendment’s protection of free speech, which was written not to protect speech with which we agree, but speech that is not popular to some, and even critical of the government. This includes criticism of the Constitution, even by someone so high in the judicial hierarchy as a federal Circuit Court judge. Our freedoms are now under more serious attack than ever before since the nation’s founding, by political correctness and those who find some protections inconvenient, and now by some charged with defending them by upholding the Constitution’s protections.